Lower your cholesterol. Reduce cholesterol. Get that bad cholesterol down. Raise the good cholesterol. These are all statements that you have probably heard when it comes to managing your cholesterol. But these statements may be leaving you a little confused as to what your goals should really be. A recent study concluded that most adults don’t know what their cholesterol goal should be. This study even included the majority of those who are on statin drugs designed to reduce cholesterol. New federal guidelines don’t help clear up the confusion either. An important part of knowing how to manage cholesterol is having a set goal. Talking to your health care provider will give you a specific goal for your cholesterol numbers. They may be looking for a definitive number or a percentage of reduction by a specific time. Either way, your goal will give you something to work towards. All adults should be looking at a goal of lowering their cholesterol to less than 200 mg/dL. The GOAL Standard Campaign resulted from this national survey, which found people were confused about cholesterol management. GOAL was started by WomenHeart and the Association of Black Cardiologists, Inc. along with AstraZeneca, an international healthcare researcher. GOAL is intended to educate people about cholesterol and then help them set goals and devise a plan for lowering their cholesterol. The survey results cemented the idea that Americans need to know more about cholesterol management. Forty percent of the adults surveyed wished their doctors would spend more time discussing it, and 80 percent of those with concerns about their cholesterol did not know their own target numbers. More than half (63%) did not know the recommended level for “bad” LDL cholesterol. 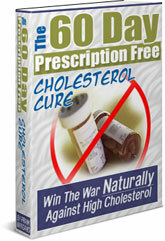 To learn more about cholesterol and how to manage it without prescription drugs, you can get The 60-Day Prescription Free Cholesterol Cure.